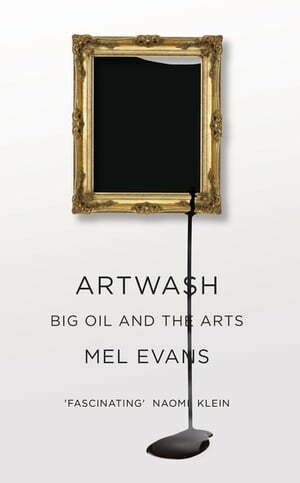 Collins Booksellers - Artwash by Mel Evans, 9781783713332. Buy this book online. Artwash is an intervention into the unsavoury role of the Big Oil company's sponsorship of the arts in Britain. Based on the high profile campaign 'Liberate Tate', Mel Evans targets Chevron, ExxonMobil, BP and Shell's collaboration with institutions such as the Tate in an attempt to end the poisonous relationship forever. Based on years of undercover research, grassroots investigation and activism as well as performance and cultural interventions, Mel Evans draws together the story of the campaign and its journey which has gone from strength to strength. Artwash shows how corporate sponsorship of the arts erases unsightly environmental destruction and obscures the strategies of oil company PR executives who rely on cultural philanthropy. The conclusion sounds a note of hope: major institutions (such as the Southbank Centre) have already agreed to cut sponsorship, and tribunals are happening which are taking these relationships to task. Artists and employees are developing new methods of work which publicly confront the oil companies. Like the anti-tobacco campaign before it, this will be an important cultural and political turn for years to come.